I've been wanting to do a Q&A for a while now. 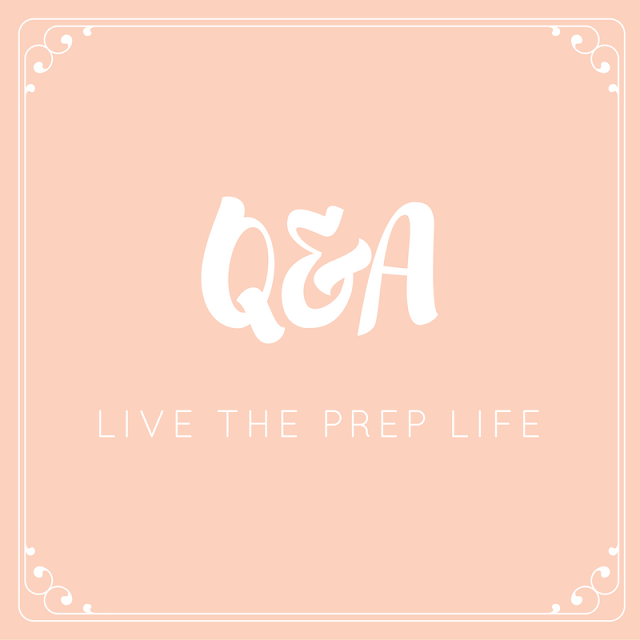 I think it's so important that y'all know the girl behind the blog, so for this week's post, I asked y'all on Instagram, Twitter, and Snapchat (add me at livethepreplife) to send me questions that you wanted me to answer. Make sure you're following me on all of those platforms so you can ask questions when I do my next Q&A! How many Lauren James shirts do you have? I have 8 (including things like beachcombers and tank tops) but my mom and my sister have a few that I like to borrow, too! Lauren James is one of my favorite brands and I love their t-shirts! What are your favorite types of blog posts to write? I love writing outfit posts, monthly favorites, and travel posts. What is your favorite Lilly Pulitzer pattern? Right now, it's Psychedelic Sunshine. My favorite patterns of all time are Lobstah Roll, Red Right Return, You Gotta Regatta, and She She Shells! What's your favorite thing about fall? I love literally everything about fall. The fashion, the food, the weather... it's all so hard to pick! I'm going to go with Pumpkin Spice desserts, though - muffins, lattes, bread, cake, you name it and if it's pumpkin spice flavored, I'll eat it. Do you have any room organization tips? Room organization is something I struggle with, but it really helps to pick up my room as I go along so things never get too messy. What's your favorite thing to do in your free time? Right now, I spend a lot of free time watching Netflix because a few of my friends got me hooked on Gilmore Girls and I'm obsessed, but I also love to play soccer and take care of my bunny. Where do you want to go with your blog? At the beginning of the year, I wrote a post on my blogging goals for 2016. I've completed most of the goals on my list, but I have yet to buy a custom domain name. I also want to write two or three posts per week - I did that over the summer, and I really enjoyed writing a lot of posts. I really want to continue to grow my blog and expand my audience. What inspired you to start your blog? 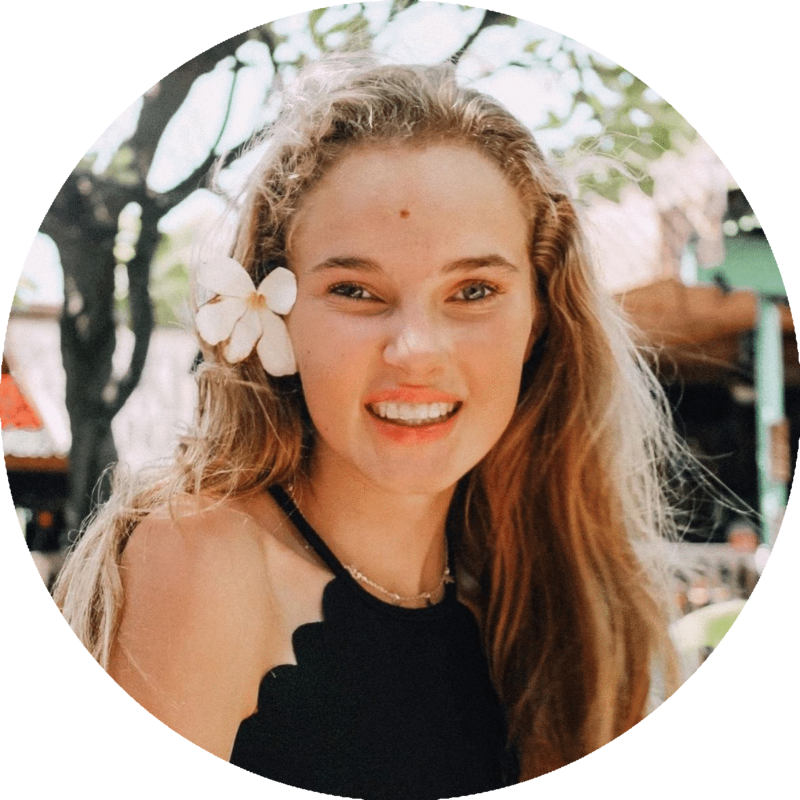 I saw a pin on Pinterest about how to get free preppy stickers (check out my post here) so I clicked on it and I fell in love with the blog! It inspired me to start Live The Prep Life, because I knew I would have down time over the summer and I wanted to do something fun and creative. I'd never thought about starting a blog before, but I was instantly drawn to the idea. What are your favorite school subjects and why? I love English because I love to read and write. I'm also doing yearbook this year, which is so much fun because I get to take pictures and help put the yearbook together. What are your goals for your Instagram account? One of my biggest goals photography wise is to invest in a DSLR camera. They're expensive, but I've gotten to use a few of those cameras in yearbook and I love taking pictures with them. I really want to grow my Instagram account and work with more brands and bloggers through Instagram. I also want to do some sort of photo challenge at some point! What are your favorite places to travel to/wish to travel to for each season? I like to go to the beach in summer (read my Palm Beach recap here) and the mountains in the winter (read my Beaver Creek recap here). I also love to take weekend trips down to Waco (I'm a huge Fixer Upper Fan and I love going to Magnolia Market.) I really want to travel to Hawaii, Seaside, and New York, and I'd love to go back to Lake Tahoe at some point! If you could only wear one outfit for the rest of your life, what would it be? This is honestly such a hard question... probably a striped top, my Kendra Scott necklace, jeans, and riding boots. I feel like it could be worn in so many different situations and climates. Either that or my Lilly Pulitzer Marlowe dress! Who are your two best friends in biology? This is a question from one of my friends in biology... shoutout to Eleanor and Ryleigh for helping me survive my toughest class! What's your go-to outfit/go-to pieces? For a casual outfit, a t-shirt or cozy sweater with jeans, boots, and my Kendra Scott Elisa necklace. For a dressier outfit, a Lilly Pulitzer dress and my Jack Rogers. What are your favorite items to travel with and why? I can't travel anywhere without a good book, earbuds, and my laptop. For clothes, I always bring a few t-shirts, because they're comfortable, a nice dress to go to dinner, and a few clothing items that I can wear more than one way. I also make sure to bring comfortable shoes if I'm going to be walking around a lot. Thanks for all of the questions!